Chief Operating Officer and Co-Owner with wife, Lynn -- Harold Katofsky provides the organization edge with his extensive, life-long dedication to fire and safety experiences. As a member of Monroeville Fire Department #6 for 43 years, and Fire Chief since 1981, Harold lives his work. He has managed more than 75 volunteer firemen, who are part of a dynamic system boasting highly skilled emergency response teams that provide fire protection, search and rescue, pre-hospital care, and other critical public safety services to residents. Harold's background is mobile health services and fire equipment. 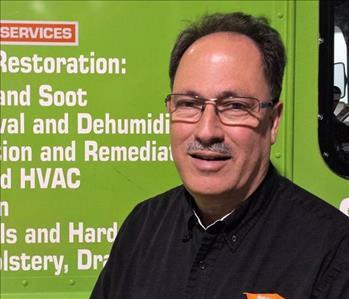 He leads his three SERVPRO franchises as the resident trainer and maintains numerous certifications in the clean-up and restoration industry, as well as fire and safety. Pete Akey has been with SERVPRO Metro-Pitt since February 2003, first as the Marketing Representative for South Hills and currently serving as General Manager. He takes care of daily operations and corporate compliance. Pete is a wealth of information with solid emergency disaster experience. He was identified by the SERVPRO Commercial Large Loss Division as “subject matter expert” on the Corporate Time and Material Estimating program. He serves on a related Advisory Panel. Pete served in the U.S. Air Force and has been a volunteer fireman for more than 30 years, as well as a paramedic. 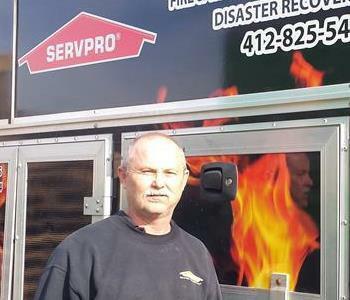 He holds various certifications in the restoration industry and leads Metro-Pitt's Storm Response Team. Production Manager and Mold Inspector Dan Olson has been with the company since 2002. 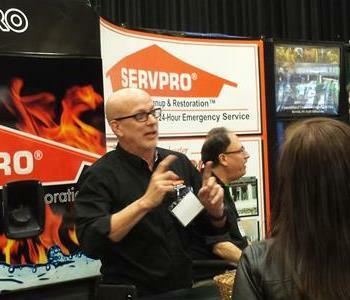 Prior to SERVPRO Dan worked at another restoration organization for six years. He found his niche in training for and leading mold remediation because he enjoys the investigative aspect of what causes mold, and how to rectify the situation for residents and business owners. Dan enjoys weightlifting and fishing in the region's lakes, as well as spending time with his wife, son and daughter. Construction manager "Vinnie" Matthews keeps constant pace 24-7, 365 with the jobs of SERVPRO Metro-Pittsburgh. Crews are dispatched, monitored, and supported through the planning and communications of this wise-cracking, knowledgeable leader. He keeps his cool under pressure and is the first one to help anyone out. 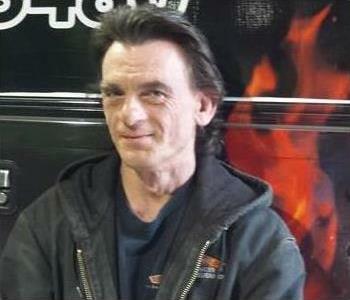 Vinnie started working at SERVPRO in 2005 and was named a crew chief a year later. 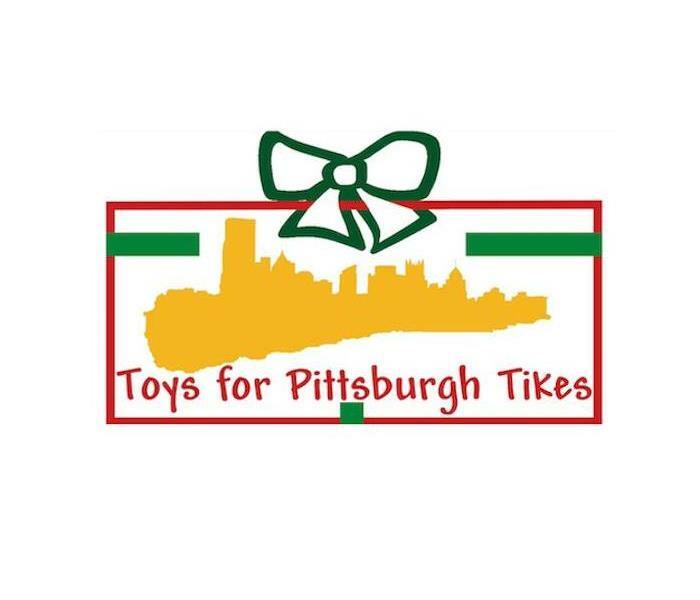 Vinnie has a roofing and construction background; and has been a volunteer fireman for 28 years. 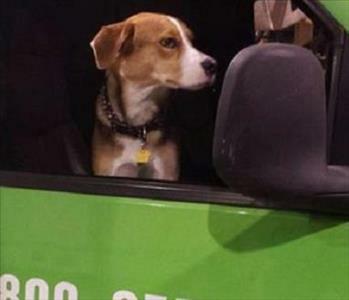 Ellie isn't just a rescue dog, she's a loved family member here at our SERVPRO office. Ellie loves spending her days, hanging out in the office with our team members, especially when they order lunch. We think everyone should have a team mascot!